The New England Patriots suffered a blow to their offense on Sunday afternoon when star tight end Rob Gronkowski elected to retire. Gronk, 29, was one of the best tight ends in NFL history and one of Tom Brady's top weapons for the past decade. While the Patriots' offense may be in a tough position without Gronk, there is a silver lining. There is a small possibility that he could return to the team. In an interview with ProFootballTalk's Peter King, Gronkowski's agent, Drew Rosenhaus, wouldn't rule out a return at some point in 2019. Still, per King, "There's nothing to indicate a return to football now," which makes sense given that Gronkowski just announced his retirement. 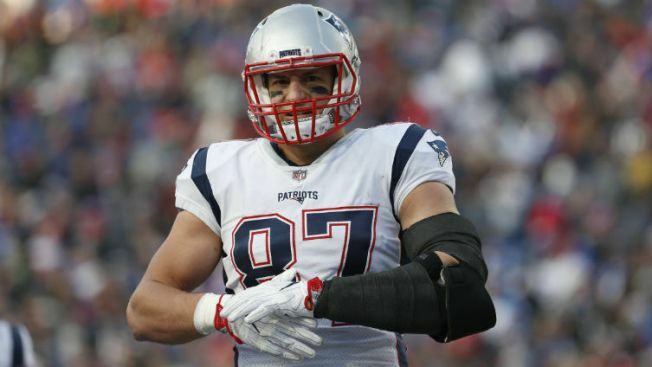 It could make sense for Gronkowski to return later in the season or perhaps just for a postseason run with the Patriots. After all, he has been highly productive in the playoffs, logging 81 catches for 1,163 yards and 12 touchdowns in 14 postseason contests. And returning later in the season would keep him from taking as many hits and guarantee he would be healthy late in the year. But without assurance from Gronkowski that he will return, the Patriots won't be able to rely on that possibility. The Patriots are thin at tight end in the wake of Gronkowski's retirement, so expect them to address the position soon. They recently made an aggressive run at Jared Cook in free agency and have expressed interest in several of the top tight ends in the 2019 NFL Draft.